Rivetz is reinventing how to protect consumer and enterprise digital transactions with a powerful yet simple device-centric solution – the Rivetz Network. Using blockchain technology and the hardware-based trusted computing capabilities already built into millions of devices, the Rivetz Network ecosystem enables provable cybersecurity controls to assure digital transaction quality. Developers can seamlessly integrate their apps with the verifiable security of the Rivetz Network, giving users the power to protect their digital assets across their entire collection of devices. 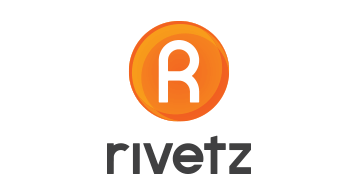 With its secure blockchain-based payment platform, Rivetz is modernizing electronic payments for consumers. The Rivetz solution enables consumers with or without bank accounts to securely manage their personal digital assets, such as traditional (fiat) currencies and cryptocurrencies. The system leverages blockchain technology to enable transparency between merchants and customers, while simultaneously protecting user privacy and data. In partnership with one of the world’s largest telecommunications companies, Rivetz also is pioneering the next generation of security standards on mobile, leveraging dual roots of trust through SIMs and the hardware-based trusted computing capabilities already built into millions of devices. Using two separate hardware locations for to store sensitive digital data enables users and enterprises to confidently and safely use their smartphones to conduct high-quality transactions that are more resistant to attacks.